Great Sponsors for Our Clients Upcoming Events! OMA Comp is in good company sponsoring Fratelli Leather’s Grand Opening and Spa Mariana’s 4th Anniversary Celebration both happening in the next two weeks. So many great surprises are planned and are made possible by all of these generous sponsors. Please make sure you stop by and support these local downtown Birmingham businesses. You won’t want to miss the party. It will be a great time! Hope to see everyone there. 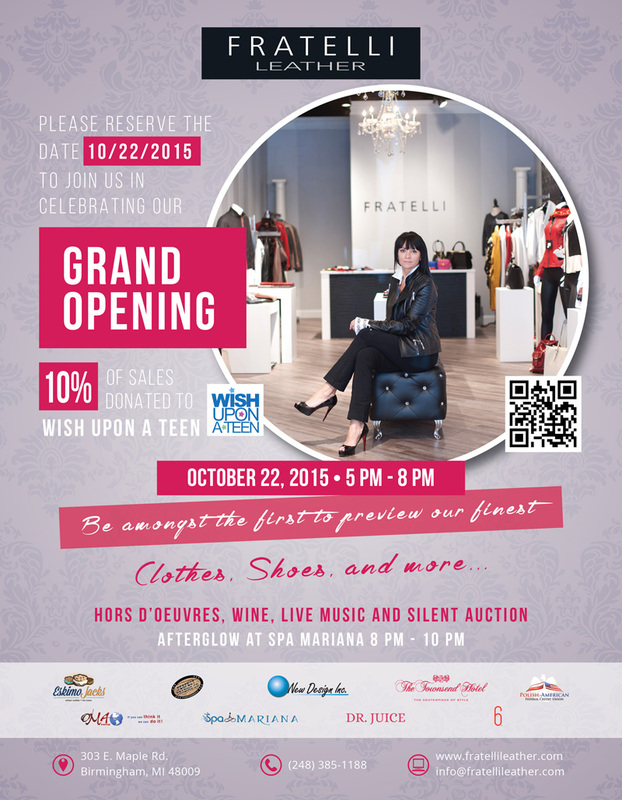 OMA Comp is pleased to sponsor our client Fratelli Leather’s Grand Opening event the evening of October 22nd. Join us in supporting this exquisite, new local boutique. 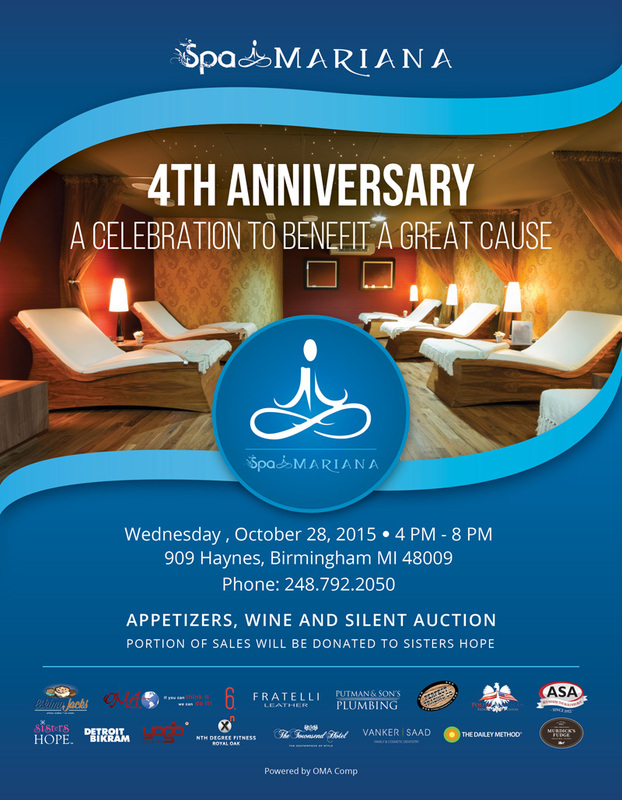 Festivities will include hors d’oeuvres, wine, live music, an auction and lots of surprises. A portion of the proceeds are also benefitting Wish Upon A Teen. We look forward to seeing everyone at the celebration!